My knowledge of the American South comes mainly from reading James Lee Burke novels and watching Angel Heart. It’s fair to say this probably hasn’t given me a particularly well-rounded view. Southern Bastards may not do much to round out what I know of, or rather what my impression of the South is, but it damn sure makes me feel like I visit there every time I read an issue of the comic. 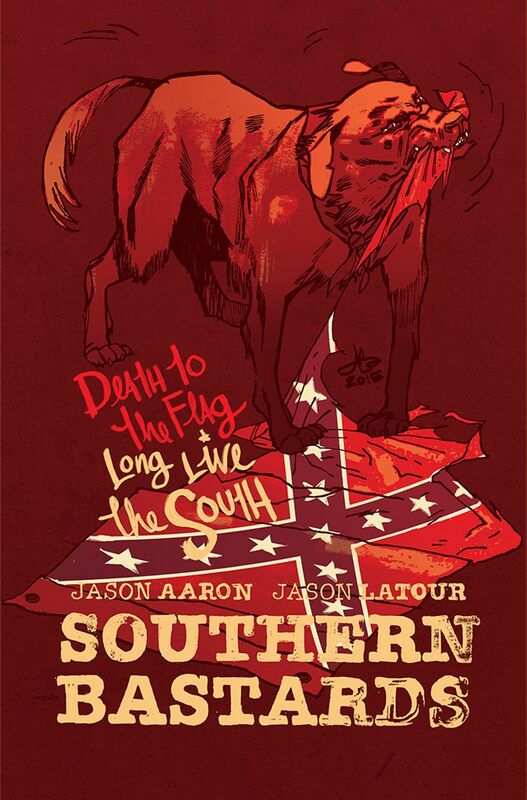 The quality of Jason Aaron’s writing in Southern Bastards, together with the art of Jason Latour, throws the reader headlong in to the hot, dirty, violent, football-obsessed world of Craw County, and its cast of damaged characters. While Craw County is a fictional location, Aaron and Latour have clearly drawn on their own experiences of being raised in the Deep South to bring this part of America to life so vividly on the page.